My work has long explored notions of loss and memory. Unstaged photographs of family and friends attending funerals, gravesites and visitations. The homes of those who have passed away. 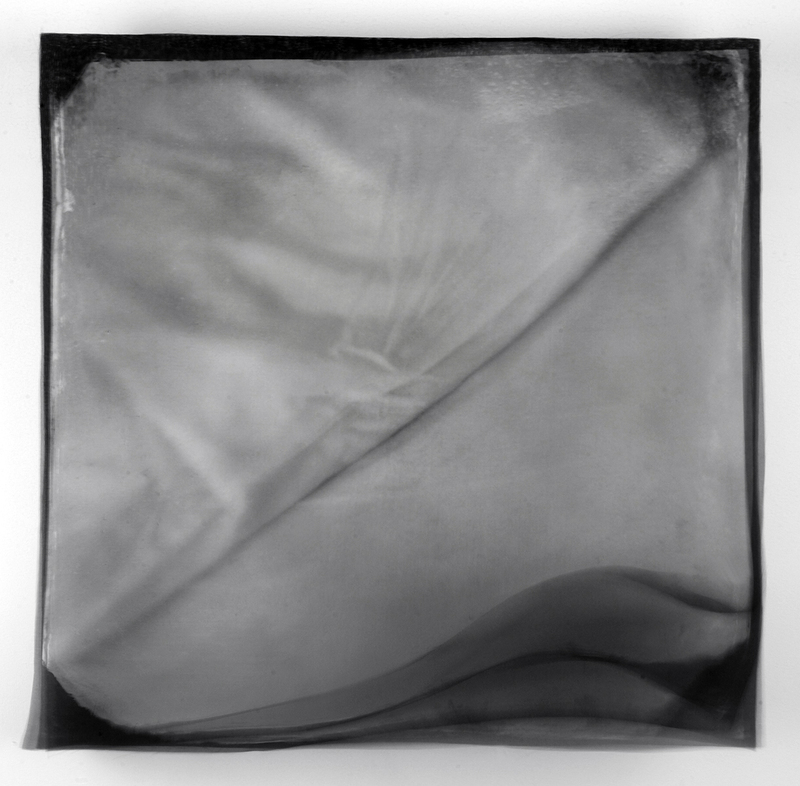 The multiple layers of translucent fabric shift and move, changing the focus & intensity of the image. Creating a dreamlike landscape, allowing the piece to constantly change, as memory and life often does. This series “Absence” shows my father’s deathbead. Taken immediately after the funeral home took him away, traces of his presence remain in the creases and markings on the bed. The fabric registers all that remains, his absence.